Activate Change – Elevate A Girl Foundation, Inc.
Make a difference in a girl’s life! Elevate A Girl Foundation, Inc. has launched a Fundly campaign that will provide scholarships to cover the cost of attendance for our scholars. Your donation helps us cover 100% of our scholarship recipients tuition and fees. We also provide text books and supplies for our girls. We empower girls from low income families, giving them a chance to quality education, and making them competitive when applying to Universities in Tanzania. Our work will not be possible without the continuous support of our donors! Visit our Fundly campaign page to contribute today for a specific goal. Elevate A Girl Foundation is a 501(c)3 tax-exempt non-profit organization, your contribution is tax deductible. Even $5 monthly (17 cents per day) will make a big impact in giving a chance to an underprivileged girl in Tanzania. You can make a donation to celebrate a birthday, anniversary, memorial, or other event. 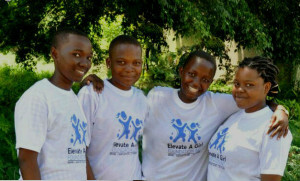 Elevate A Girl Foundation will send a card to the recipient acknowledging your generous donation. 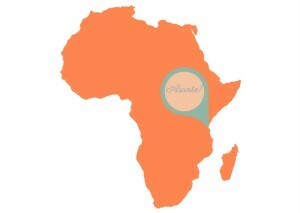 Sponsor a Girl in Tanzania! A hand-written letter from the sponsored girl and a means for direct communication will be provided, if desired.